The apartment is well-arranged at first glance. I do not recommend apartments. The 3 rooms of the suite. Proximity to the railway. Great location. 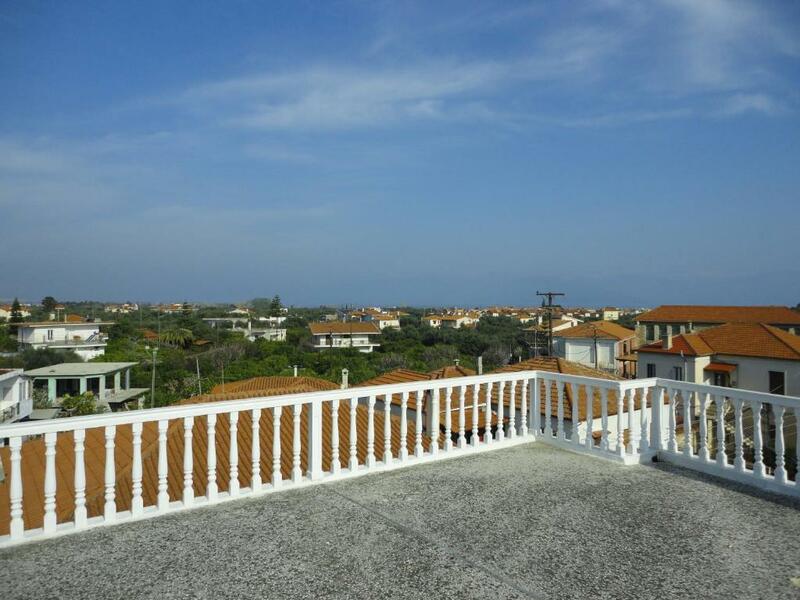 Very close to the train station, sea, restaurants etc. Clean, quiet and comfortable. Easy to walk to the station to get the train up trough the gorge. Big apartment and clean. Good value for money for anyone travelling on the rack railway or wanting to hike in this area. This is the 3rd time I have stayed and only for access to the railway or for local hiking. The apartment is really good and new. It has all the amenities and the bed is very comfortable. Really good for the price. We were put up in a detached house, not in the main block. It was large (could sleep 8), clean and comfortable. Κοντά στον σταθμό του οδοντωτού στα 400m περίπου. Η θάλασσα είναι λίγο παραπάνω. Διπλο κρεβατι ανετο, 2 τηλεοράσεις και μπανιο καλο. Δυο ωραια μπαλκονια. Lock in a great price for Suites Diakopto – rated 8.2 by recent guests! 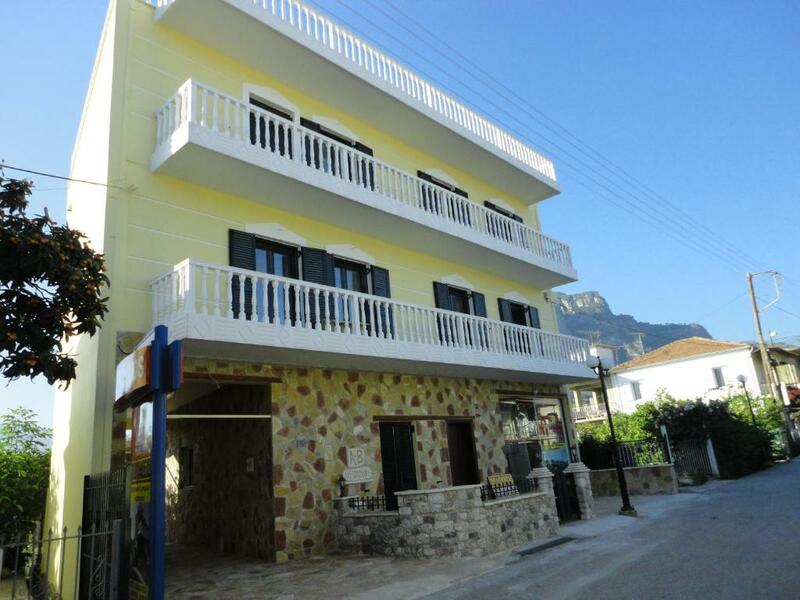 Located in Diakopto of Achaia, just 350 feet from the beach, Suites Diakopto offers self-catering, air-conditioned accommodations with free Wi-Fi and balcony. Breakfast can be served daily in the comfort of the units. Overlooking the mountain, the surrounding area or the garden, all studios and apartments are fitted with leather sofas and black wood furnishings. Each features a seating area and a kitchenette with fridge, microwave and cooking hobs. A 32'' LCD/plasma TV with satellite channels and a DVD player are available. 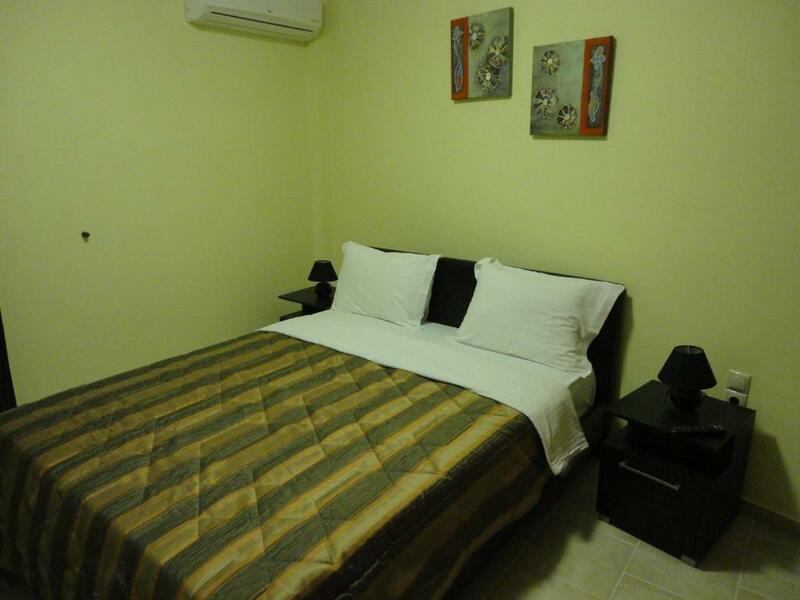 Guests will find Diakofto railway station, restaurants and mini markets within 150 feet from the property . Patra Town and Port are 34 mi away, while Aigio is 4.3 mi away. The ski center of Kalavryta is 34 mi away, while the center of Athens can be reached at 103 mi. Free parking can be found nearby. When would you like to stay at Suites Diakopto? 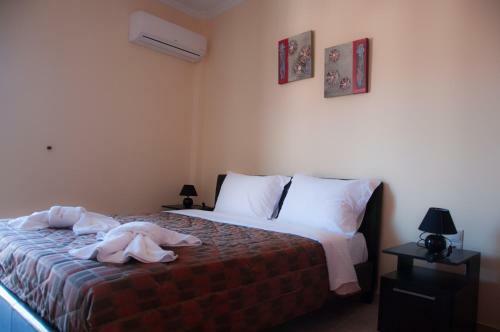 Located at the ground floor, this air-conditioned studio with free Wi-Fi has a balcony overlooking the mountain, the surrounding area or the garden. It features a seating area and a kitchenette with fridge, microwave and cooking hobs. 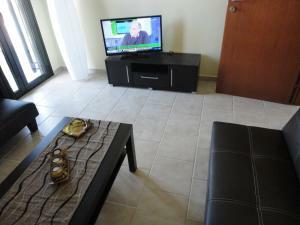 A 32'' LCD/plasma TV with satellite channels and a DVD player are available. 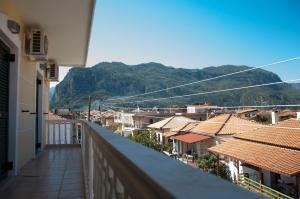 Spacious, air-conditioned studio with free Wi-Fi and a balcony overlooking the mountain, the surrounding area or the garden. It features a living room and a kitchenette with fridge, microwave and cooking hobs. Air conditioning, a 32'' LCD/plasma TV with satellite channels and a DVD player are available. 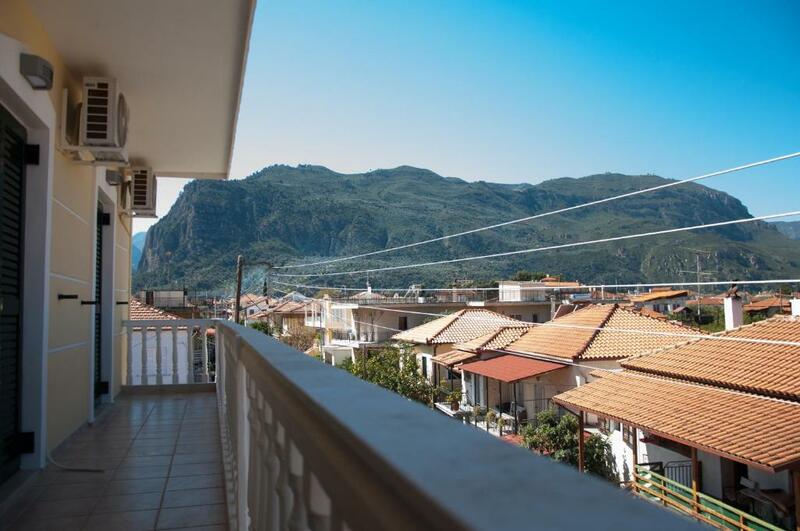 Featuring a separate bedroom, this air-conditioned apartment comes with free Wi-Fi and a balcony overlooking the mountain, the surrounding area or the garden. It features a seating area and a kitchenette with fridge, microwave and cooking hobs. 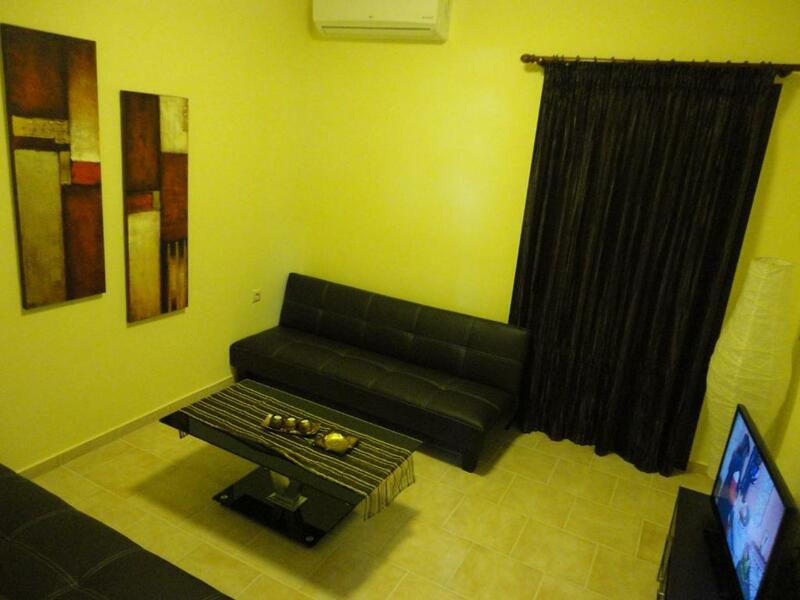 Air conditioning, a 32'' LCD/plasma TV with satellite channels and a DVD player are available. 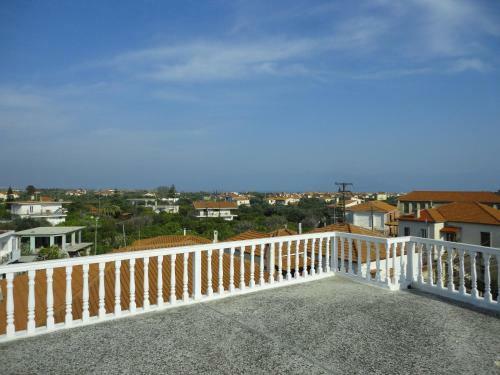 Offering sea, garden and mountain views, this air-conditioned maisonette opens to a furnished balcony. It offers a seating area with sofas and flat-screen TV with cable channels, as well as a kitchen with dining area and oven with hobs. Free WiFi is provided. Kindly note that this room type is located in the town center and does not offer free WiFi access. House Rules Suites Diakopto takes special requests – add in the next step! Suites Diakopto accepts these cards and reserves the right to temporarily hold an amount prior to arrival. Please inform Suites Diakopto of your expected arrival time in advance. You can use the Special Requests box when booking, or contact the property directly using the contact details in your confirmation. Accommodation can not be found via navigation - no exact address is provided. The owner is not there. It took him several times to make a phone call. In front of the apartment, my husband and I waited for half an hour. The room was not ready - the beds were unfeasible, although I booked it three months ago. The woman brought in bed sheets and even asked if I would prepare the bed myself! The pillow covers were dirty, too small and without buttons. The mini kitchen contains a small, poorly operated cooker without knobs and a steaming water cooker. There was no basic package for personal hygiene in the bathroom. The guy didn't speak any english. But we got the room. Having to telephone and having to wait for the owner to arrive to be let in. The room didn’t match the description, there was no living area with sofa (as mentioned on the site) The parking is terribly small and almost impossible to enter and exit. Despite the fact that we wrote to specify our arrival time there was nobody for the check in and we had to call a non English speaker person who arrived after 10 minutes. The “balcony” of our ground floor room was in fact on the same level as a busy and noisy street with no possibility anyway to sit outside since there was no garden furniture. We really had the impression that we were out of season (beginning of June) and we were given the concierge room!! The owner only speaks greek and she was not there when we arrived. We had to call to ask her to come and she couldn't answer how long we would need to wait. It took half an hour. I emailed a couple of times few weeks before my arrival and nobody replied. There was noone to meet us when we arrived, the lady who finally appeared communicated only in Greek and could not explain workings of the fittings. There was no instruction book so we ended up with no hot water and the airconditioner in the living room stuck on 27 degrees. The establishment's lady was very, very rude though. Arrogant.